In our last NGSS blog, we compiled a list of the best content and lesson plan resources for teachers bringing the new standards to their classrooms. In this blog, we dig deeper into how the NGSS standards organize science content through Disciplinary Core Ideas (DCIs). DCIs outline the fundamental science concepts for students to learn. Along with science and engineering practices (SEP) and crosscutting concepts (CCC), they form the the three pillars of the NGSS curriculum. “The three dimensions work together to help students make sense of phenomena or design solutions to problems, and… develop deeper, more usable understanding of the dimensions,” writes Prof. Joe Kracjik on the NSTA Community site. Kracjik, who directs the CREATE for STEM Institute at Michigan State University, played a leading role in writing the NGSS standards ahead of their 2013 release. 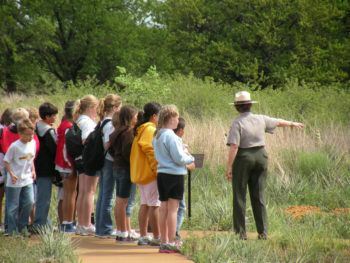 To help students connect the ideas they learn throughout their science education — which Kracjik calls “integrated understanding” — the NGSS team developed a total of twelve DCIs, which represent twelve broad topics such as “Earth’s Systems.” Each DCI is broken into several subcomponents whose content increases in complexity from Kindergarten through 12th grade. By building on years of learned material, the DCI subcomponents cultivate a foundation of knowledge that students can build on. While students still learn new, increasingly advanced material in every grade, each new concept follows a logical progression from the material they have mastered over the years. Along with covering the specific content of the DCIs, our games help to accomplish key pedagogical goals of the NGSS. As Lauren Madden of Education Week points out, “Learning by doing, designing solutions, and stepping back to see how the scientific ideas are connected to other things give students a more robust understanding of content.” Studying science principles in an interactive game-based learning environment allows students to develop that understanding and retain the material they learn. As most teachers know, this is not a new phenomenon. Students have always responded better to hands-on learning methods. What changes over time is what those methods look like. Nature field trips, planetariums, and chemistry labs have been, and continue to be, vital interactive learning experiences for students. The ever-growing presence of computers and tablets in the classroom opens countless doors for interactive learning experiences. Legends of Learning’s online science games present a valuable opportunity to harness the power of these technologies and spark student interest in science for every lesson.